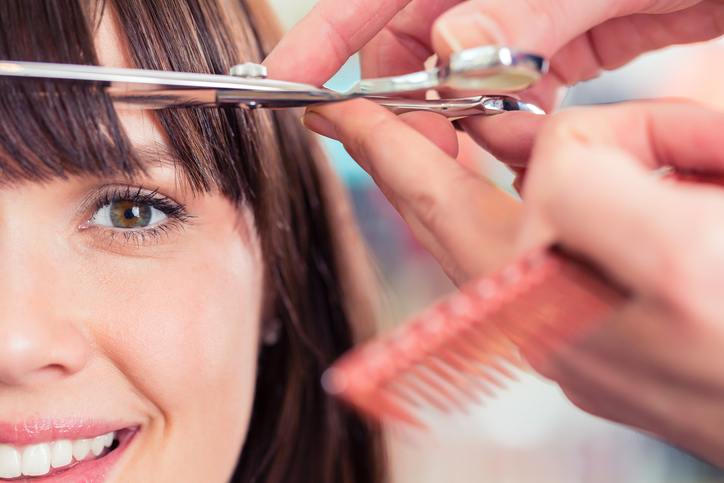 To snip means ‘to cut with quick and small strokes,’ as you do with scissors. As a noun, a snip is the act of snipping and also the thing that’s been snipped off. Any small amount of something can also be called a snip. Colloquially, in US English, an insignificant person or an impertinent one can be called a snip, though this use is a bit dated. In British English, a snip is a bargain. Ellen took the scissors and snipped off a corner of the packet. The gardener was pruning the plants with quick, precise snips. The children were cutting out the shapes they had drawn and there were snips of paper everywhere. We heard snips of information here and there. That guy's nothing but a snip; pay no attention to him! This jacket looks great and it was an absolute snip! The related word snippet also means ‘a piece cut off’ or ‘a small amount’ of something. Snip, the noun meaning ‘small pieces of cut-out cloth,’ dates back to the mid-16th century. Its origin is uncertain, but it may have come from the Low German and Dutch verb snippen (to snip or shred). Linguists believe its origin is imitative of the sound made by a quick cut. The meaning expanded to ‘a cut made by scissors’ in the late 16th century. The verb, meaning ‘to cut in one quick stroke,’ comes from the noun, and dates back to the late 16th century, only a couple of decade after the noun. The use of both spread so quickly that scissors were colloquially called snippers in the 16th and 17th centuries.